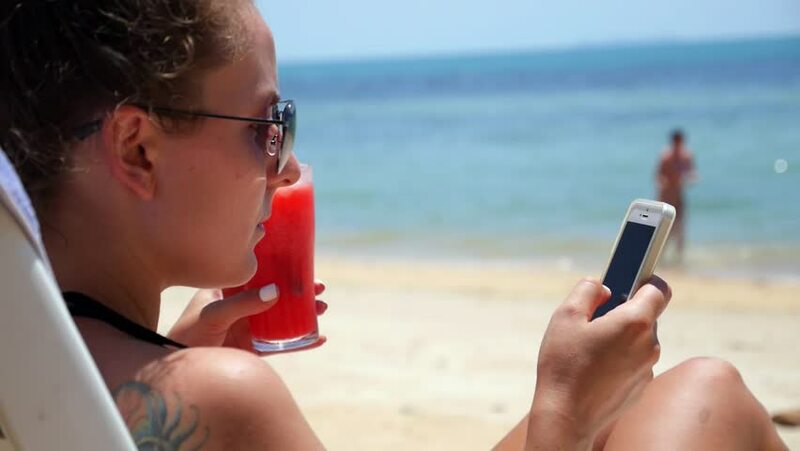 Young Woman Texting Message on Smartphone at Beach on Vacation on Koh Samui, Thailand. HD, 1920x1080. hd00:27Young Happy Couple Having Breakfast with Yogurt on the Beach on Vacation. HD, 1920x1080. 4k00:15Sexy red-haired girl enjoys the sea. slow motion. 4K. hd00:21Happy man play on the harmonica outdoors, near the lake.